Warner Bros. has spent years trying to create a series of films to match the Marvel Cinematic Universe, only to continue falling short. What’s especially frustrating about their failure to launch is the reality they already have a worthy rival on the CW. Arrow debuted in October 2012 as a mix of teen soap, detective crime story and salmon ladder infomercial. In the years since, an entire universe has built around that simple premise to include superpowered meta-humans, immortal ninja armies, doppelgangers from alternate universes, aliens both good and bad and a Nazi invasion. Most importantly, it was created with thought and care, and developed from such grounded roots by organically increasing the scope (and crazy) of the world it habits. If that sounds familiar to Marvel fans, it should. The similarities go farther. A spoiled billionaire (Tony Stark/Oliver Queen) in a foreign land (Middle East/Lian Yu) uses his ingenuity to survive, defeat his enemies and return home (California/Star City) to fight crime. From there, he connects with a secret government agency (S.H.I.E.L.D./Argus), people who gain incredible powers from scientific experiments gone awry (Bruce Banner/Barry Allen), unstoppable aliens (Thor/Kara) and super soldiers (Rogers, Romanoff/Lance, Diggle). These heroes lead separate but interconnected lives, fighting individual and deeply personal enemies (Obidiah, Red Skull/Deathstroke, Zoom) while teaming up for alien invasions (Chitauri/Dominators) and unique threats (Ultron/Vandal Savage). Both teams have even fought Nazis. A fitting testament to the structure of the Arrowverse shows is how Green Arrow discovers he’s a father due to events on two episodes of Flash that happen one year apart. How have both endeavors been so successful? By allowing their characters to grow and feel the aftereffects of both the earth-shattering events they live and the personal relationships they build with each other. In Flash vs. Arrow, Iris West can’t believe her best friend knows Oliver Queen and talks excitedly about how he’s on her “free list” with her boyfriend. Today they’re just good friends. Sara Lance starts as a party girl who lies to her sister about going on a yacht with Oliver. Now she’s a resurrected trained assassin and captain of a time-traveling spaceship. Cisco Ramon was a pop culture geek scientist who’s now a superhero leaving a trail of broken hearts across the multiverse. It’s time for Warner Bros. to cut bait on the group that’s failed more often than not and hand the car keys over to people who’ve built something that works. Now DC is doubling down on the insanity by developing every story three pounds of cocaine can imagine and just sort of hoping they can tie the good stuff together somewhere down the line. Oh and they might not have a Batman, Superman or Lois Lane anymore, which is especially poetic since Lois Lane is being introduced tonight on the CW. It’s time for Warner Bros. to cut bait on the group that’s failed more often than not and hand the car keys over to the people who’ve built something that works. This weekend’s Elseworlds crossover should be the last TV-only major event with these characters and actors. The Arrowverse is ready for the big screen. Some will say the stars aren’t big enough to carry tentpole films. I’d argue the story matters more, and if anything the relative lack of fame can be an advantage to losing oneself in the story. These are also incredibly likable performers, and it’s just as likely they become superstars from these films. These stars can carry an extended film universe, and the showrunners can create a well-crafted world for them to inhabit. In the crossover events, the way each character gets a moment to shine is reminiscent of Avengers: Infinity War and other MCU mashups. They’ve shown the versatility of their universe (from sunny Central City to dark Star City to Wakanda-level advanced Earth-2) and their actors (in Flash’s Duet with Supergirl half the Arrowverse cast sings). The one major hurdle to overcome for the Arrowverse to transition from TV to film is how to integrate the good parts of the current films into the “new” universe. 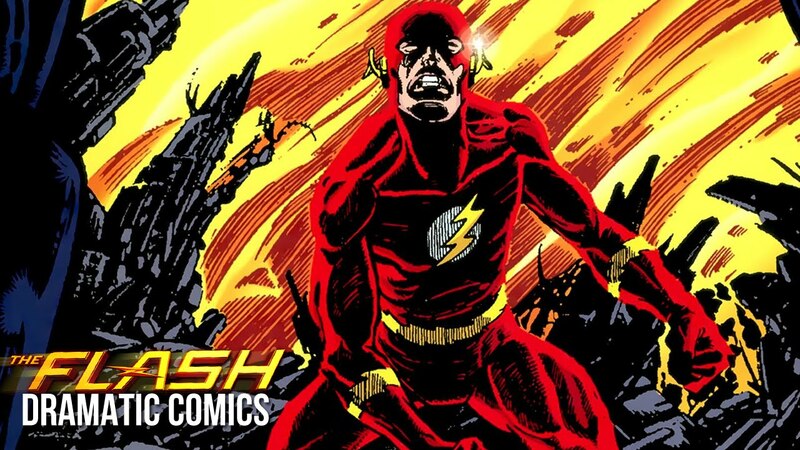 Fortunately, there’s an event in DC comics lore ready-made to do just that. 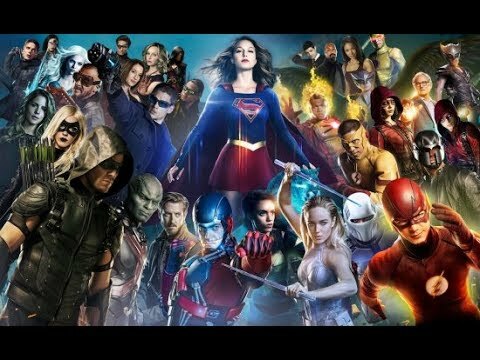 The Arrowverse shows finish up their current seasons. Next fall Supergirl, Flash and Arrow have abridged final runs that end before Christmas. Each ties up their stories and leave breadcrumbs into Crisis. Legends of Tomorrow, Black Lightning and Batwoman will continue for full seasons, but the actors will appear in Crisis and continue to in future movies. There’ll likely be another show added to the slate as well (a rebooted Constatine? Blue Beetle?). Legends especially can be a great launching pad for characters (and actors) to make the leap to feature films. A nice touch is actors such as Amell, Gustin and Danvers likely won’t object to the occasional TV guest spot, which is a big help in keeping the universe connected. It actually gives them a leg up on shows like the criminally underrated Agents of SHIELD. Aquaman comes out this month, Shazam! in April and Wonder Woman: 1984 in June 2020, and all three stars are likely to stick around. The first two can continue as planned, and maybe Wonder Woman can be moved up to spring 2020 so Crisis can take that June spot. Cyborg, Green Lantern and Birds of Prey are slated for 2020 but the first two aren’t on track to be ready by then, and Birds of Prey is just getting started so there’s time to adjust both the schedule and story to fit. (Seeing Felicity Smoak offer tech support to Margot Robbie needs to happen). If they’re willing, get Henry Cavill, Ben Affleck and Ezra Miller to film cameos of their heroic deaths for Crisis. I’m not going to get into the story machinations because whatever I come up with will pale in comparison to what Greg Berlanti and Co. have built their careers doing, but the Monitor (being introduced this week for Elseworlds) may be a logical choice to get things started. Major characters will die, but we can end with one version of Earth that combines everyone left. I’d expect at least Arrow, Flash, Supergirl, Legends, Black Lightning, Wonder Woman, Aquaman, Shazam! and Suicide Squad (or maybe just Harley Quinn?) to survive. Diana Prince, Arthur Curry, Oliver Queen, Barry Allen and Kara Danvers are natural choices to lead a new big screen Justice League, and having a version where Superman (who does exist on Supergirl) and Batman aren’t the unquestioned leaders will be an interesting change from comic lore and audience expectations. The Arrowverse is an incredibly impressive achievement. Its architects treat iconic storylines with the proper mix of respect and fun, knows how to build a robust and diverse world, creates incredible sequences using a CWTV budget, and is anchored by stars capable of bigger things. This should be the group who leads DC for the next decade. (**Seriously think about the plot of BvS: Bruce Wayne is a billionaire who fears and wants to destroy Superman, but instead of teaming up with Lex Luthor (also a billionaire who fears and wants to destroy Superman), he steals the Kryptonite Lex was planning on using.